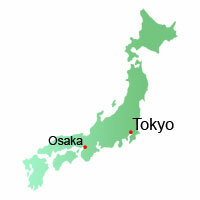 Osaka is Japan's second biggest city (after Tokyo). Within the metropolitan area there are about 19 million people living, and the city is one of Japan's largest commercial centers. Still there is quite a lot to do in Osaka, even though it does not have a lot of historic attractions. Osaka houses one of the great nightlife districts in Japan (Minami), and the city and surrounding area is known for its kitchen. 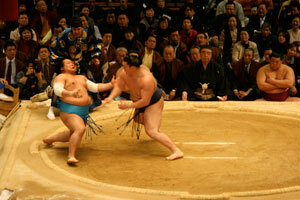 If you happen to be in Osaka in March, be sure to visit the sumo wrestling. Our Japanese adventure started in Osaka. We arrived at Kansai International Airport, and took the train to downtown Osaka. Because of an online deal we had a one-day stay for free in a four-star hotel. After dropping our luggage we decided to go around and see the city. We walked into the metro station to go to the real center, but were distracted by all the activity in the underground shopping malls and areas. Therefore, we decided to walk around in the underground shopping plaza. Well, it was enormous, it had at least 3 subterranean floors full with shops and restaurants. After walking through it for about half an hour we were completely lost. It took us about another half an hour to find our exit again. Since it was already a rather late, we went to the Minami district, to eat and get a taste of Osaka nightlife. 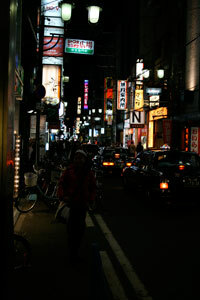 Osaka has a great nightlife, and people from Osaka are said to be very outgoing. We ended up in a more or less traditional shabu-shabu restaurant. The food was splendid and all very fresh. Combined with some smooth sake, and impeccable service, we had a perfect preparation for the Osaka nightlife. Unfortunately, the flight to Japan had worn us out, and after a walk through the incredibly lively Minami district we went back to our hotel. Next morning we woke up early. We had to move to another hotel. Osaka has several nice minshuku and ryokan, but the basic business-hotel suited us well, and that is where we spend out nights. Business hotels generally have western style beds and Japanese-style rooms with tatami mats and futons to sleep on. It was quite an experience, but a pleasant one. If you like a soft bed however, this is perhaps not your preferred choice of sleeping. After our hotel hopping was completed, we went to the Osaka prefectural gymnasium. The Grand Sumo Tournament was held in Osaka at just the time when we were there. We did not want to miss the exceptional chance to see sumo wrestling. We went to the gymnasium very early because we heard the tickets will run out early. There is an option to call and reserve, but only for those who speak Japanese... Our tickets were around 60 euros per person, but well worth it. 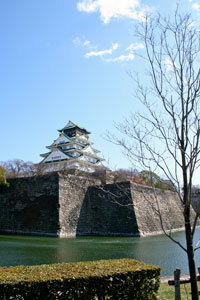 We took the two hours that we had left before the real tournament started to visit the Osaka Castle. On our way back to the sumo gymnasium we discovered some of the Japanese delights (at least we think so): Okonomiyaki. Okonomiyaki is a sort of pancake made of flour-based batter top with various vegetables and seafood. It is perhaps one of the easiest dishes to prepare if you ever go to a Japanese cooking course. Upon reentering the sumo hall we saw a huge crowd gathering, and therefore we decided to wait and see what the fuss was about. 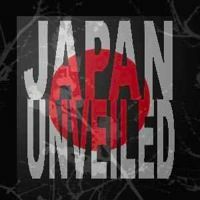 About 5 minutes later Yokozuna Asashoryu made his entry into the building, the crowd went crazy and a storm of flashes came from the hundreds of photo cameras. The hall was completely full, quite different from this morning. We watched the whole day. 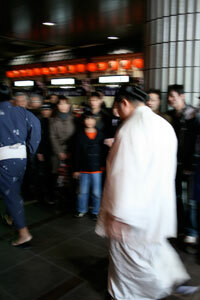 Sumo is full of tradition and we received some information at the entrance to understand some of it. 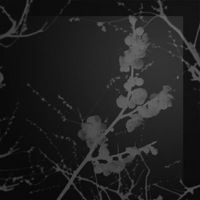 It is a marvelous experience, and quite unexpectedly I came to really like it. The rest of the week I watched the television in our hotels throughout Japan and followed the tournaments closely. The tournament was won by Hakuho, who defeated Asashoryu in a playoff after both finished with the same score after the regular tournament was over. The next day we would have a long trip to Hiroshima, and a stop at one of the most beautiful castles in Japan in Himeji.